Everyone in the islands of O’Ceea has a magical ability: whatever they imagine can be brought into existence. L ayauna desperately wants to create beautiful things with her magical powers, but all she can seem to do is make horrible, savage monsters. For years she has tried to hide her creations, but when her power is at last discovered by a great magician, she realizes that what she’s tried to hide might actually be of tremendous value. 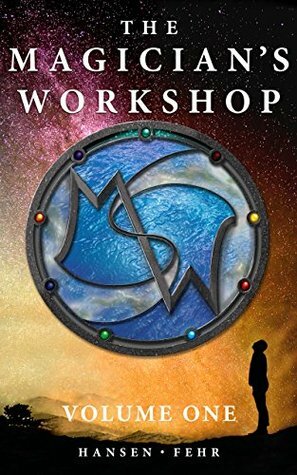 "The Magicians Workshop is an amazing book! I read it in three days and I can’t wait for the second book. It’s so easy to connect with the characters and they are well developed, so I really want to know what happens to them. I really really want to read more! O’Ceea is a world close enough to ours that it is easy to understand, but it is also new and interesting. An exciting plot with lots of suspense. I highly recommend reading it." "Wow, what a fun read! I have read countless novels with interesting characters set in interesting worlds; this novel stands out among the rest. My daughter couldn't put it down. Every time I turned around I would see her reading the book on our Kindle, and when she was nowhere to be seen I would find her hiding in one of the rooms of our house with this book." Write to us at woowoowoosh@gmail.com and follow us on social media! © 2016 Wondertale. All Rights Reserved.